The 74th annual Peabody Awards included recognition for some of the new media platforms that have been attracting a growing amount of interest and popularity. One of the winners was Serial, the podcast miniseries investigating and questioning evidence in a murder case. It is the first podcast to be honored with this media award. Although the format has been around for more than a decade, podcasts have seen a strong resurgence in the past year. Overall listening is now set at 33% of the population, or about 89 million people, according to the latest Infinite Dial report. Larry Rosin, president of Edison Research, also examined Serial more closely and its role as a sign of what’s to come for podcasting. He noticed that while only about 10% of the total population was aware of the program, 29% of people who had listened to a podcast in the past week knew about it. For such a niche program to have exceeded 60 million downloads demonstrates that podcasting’s star is going to keep rising as awareness grows. 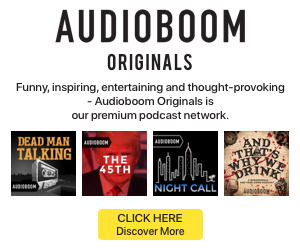 At the recent RAIN Summit West, PodcastOne founder and CEO Norm Pattiz said, “Podcasting owes a debt to Serial that can never be repaid.” He meant the program’s role in driving awareness of podcasting to new audiences. The Peabody award deepens that debt. What can you listen to with the Apple Watch on Friday?